Concert begins at 8:00pm, doors open at 6:30pm. Wristbands are available for free seating behind the Reserved Gold Circle Seating. Wristband giveaway begins at 4:30 day of concert outside of venue. Please note any day and time restrictions listed on your barcoded e-ticket(s). Each e-ticket acts as a receipt of purchase. Your Admission Ticket receipt(s) can be scanned at any general public admission gate. 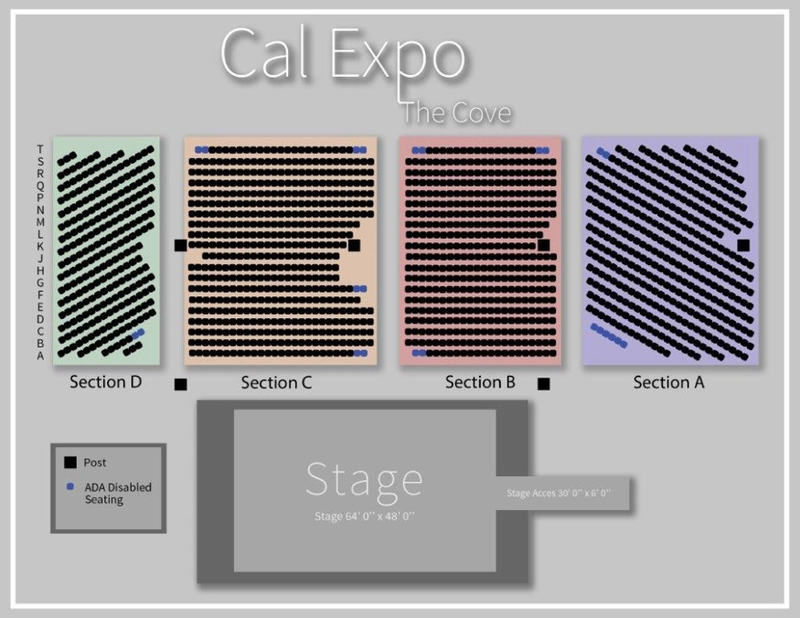 Your Parking Pass Ticket receipt(s) can be scanned at any Cal Expo parking lot entrance. Your Carnival Wristband Ticket receipt(s) can be scanned at a carnival ticket booth. Your Monorail/Ride Ticket receipt(s) can be scanned at the monorail entrance or carnival ticket booth. Each e-ticket/receipt will scan and validate only once. Season Passes must be exchanged at the Main Gate Box Office before first use. Do not duplicate. If for any reason a copy of this e-ticket is made, the first scanned ticket to arrive at the event will be allowed entry, while subsequent tickets with the same barcode will be denied access. Event staff can verify the legitimate buyer by checking photo ID. All customers should bring a credit card and photo ID to the event. No refunds or exchanges allowed. This transaction is a final sale. There are no refunds of tickets or service fees. The holder of this e-ticket assumes all responsibilities for any risk of bodily harm or loss of property sustained while attending this attraction, and waives all rights to lay claim for damages resulting from any cause whatsoever either before, during or after the attraction.